After the successful feedback from Xperia M4 Aqua, Sony is coming with yet another mid-range smartphone, the Xperia M5 Dual. 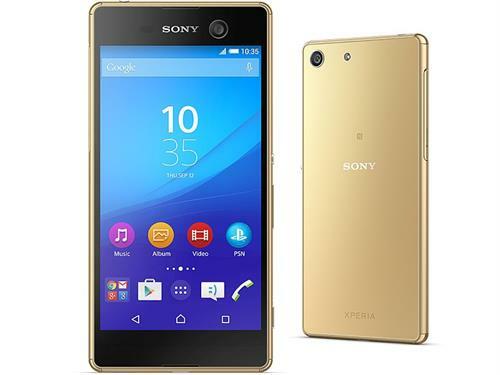 With lots of specs and features packed within Xperia M5, it is the best mid-range smartphone from Sony. If you are looking to buy a mid-range smartphone, this could be the one you are looking for. To know more information regarding the device, read this review of the Xperia M5 that explains the specifications and features. Sony had recently launched Xperia M5, a dual-SIM smartphone being packed with high-end specs and this is basically Sony's latest mid-range flagship device. Here in this device it has been delivered with a very familiar design to that of previous Sony devices like the Xperia Z3 and Xperia M4 Aqua. However instead of being made of metal and glass the device is made of plastic, but it can still feel really nice in the hand and the compact size makes it very easy to operate with one hand. As always, Sony came up with this device which can be easily handled during rough climate, which means that the Xperia M5 is water-dust resistant like its predecessor. As far as the specs go, you can find a 5-inch display coming at 1080p resolution that offers 1080x1920 pixels with over 441 ppi of pixel density. Under the hood, the Xperia M5 has been powered by a Mediatek MT6795 Helio X10 chipset that powers a stunning Cortex-A53-based octa-core processor with a clock speed of 2GHz. Towards the side of performance, M5 delivers smooth functionality with 3GB of RAM, PowerVR G6200 GPU and comes out of the box running Android 5.0 Lollipop. Talking about the camera, this is the field where Sony had delivered their improved technology. On the rear side of the device, primary shooter sports a 21.5MP camera along with LED flash. The camera delivers all the essential features for best shooting experience and even Sony had added bunch of cool features that we have already seen from its previous devices. Moreover the video shooting capability in Xperia M5 has been improved to 4K support, this is really great for a mid-range smartphone. Sony even came with new technology, the hybrid AF by which it gives you fast focus with a combination of phase-detection and contrast-detection autofocus. On the front of the device, it is some what similar to that of Xperia C5 Ultra with a 13MP shooter delivering all the essential features that used to be in a rear camera. This allows taking great selfies from a mid-range smartphone. However there is no front-flash like that of C5 Ultra, which would give you a very great illuminated selfies during low light condition. The front shooter is also capable of recording videos at 1080p. In the field of storage, Sony has delivered a 16GB on-board memory which gives you around 12GB of user accessible space, apart from that, Xperia M5 even supports taking in microSD cards up to 200GB, though there isn't any microSDs whose capacity is anywhere near this range. The Xperia M5 also gives various other standard features such as the Wi-Fi, Bluetooth 4.1, GPS with A-GPS and GLONASS and NFC support. While on the side of battery, the M5 delivers a non-removable Li-Ion 2600 mAh battery, where Sony claims it could last for 2-full days, which is to be further put on test. Finally the colors with which the device comes includes black, white and gold colors. The Xperia M5 Dual has been launched in India with a market price of Rs 37,990, which is slightly elevated when considering the device to be a mid-range one. This price could encounter with LG's latest flagship, the G4 priced at Rs 38,000, Samsung's Galaxy S6 priced around Rs 39,000 and HTC One M9 Plus at Rs 40,439.